Gavin Watters qualified in 1987 with a medical degree from Oxford University and passed the General Surgery fellowship in 1991. He then went on to train in ENT surgery in Oxford, Portsmouth and London. He received specialist training in head and neck oncology while Senior Registrar at the Royal Marsden Hospital, London. After passing the ENT fellowship exam he spent a year as ENT fellow/locum consultant at the Royal Darwin Hospital in Australia. He was the first trainee to be appointed to this post, which is now an established link between Darwin and UK trainees. While in Australia he gained considerable experience managing severe and unusual pathology in the Aboriginal population, particularly chronic middle ear disease. Gavin Watters was appointed as a consultant at Southend Hospital in 1999 with an honorary contract at Broomfield Hospital in Chelmsford. He was lead clinician for the Essex ENT network (2008-2011) and was Head and Neck lead clinician for the South Essex cancer network (2000-2008). Since 2012 he has been on the council of ENT UK and is the Royal College of Surgeons regional specialty advisor. He has published papers on a wide range of ENT subjects and also been invited to give lectures both nationally and internationally. 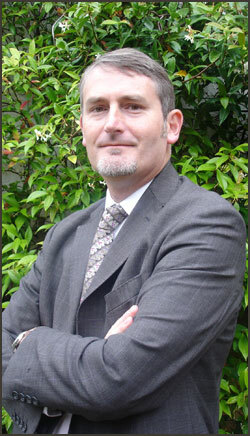 Gavin Watters has had a broad training in all aspects of adult and paediatric ENT practice, including microsurgical and endoscopic surgical techniques for ear and nasal/sinus conditions. This includes undertaking endoscopic nasal surgery for nasolacrimal duct obstruction. He is also one of the principal thyroid/parathyroid surgeons in the region and is deputy lead clinician of the Essex thyroid cancer group. Gavin Watters is also one of the principle surgeons for skin cancer in Southend.